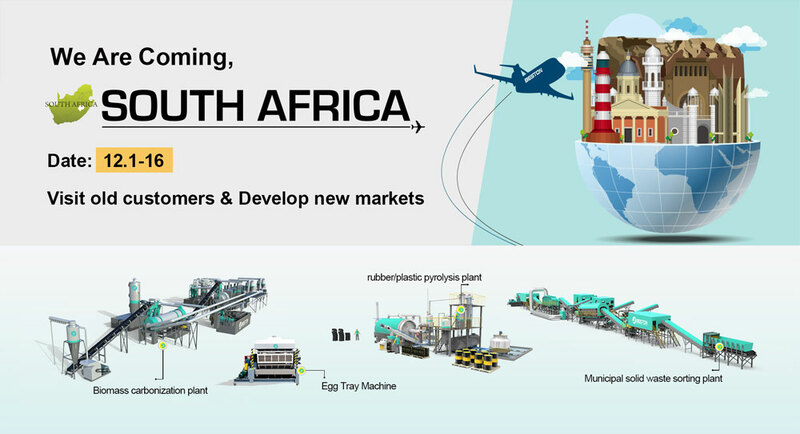 Through this trip, we Beston Machinery plan to visit old customers and expand the new markets in South Africa. Hereby, for South Africa friends, if you are interested in waste recycling business, you can contact us in advance. 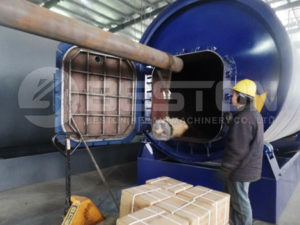 We will arrange time to meet all customers who are interested in waste plastic/tire pyrolysis plant, charcoal manufacturing plant, solid waste sorting plant and egg tray making machine. Onsite Services will save you much time cost and expense. Meanwhile, big discount is waiting for you! Don’t miss the chance. Solid Waste Sorting Plant: we can sort the organic, plastics, metal, brick, stone, etc. out from the garbage with high efficiency. The models of the solid waste sorting plant are: BFX-100, BFX-200, BFX-300, BFX-400.